KINOSHITA AVIATION CONSULTANTS Website: Subject: Addendum II to the 57th edition DGR Dear all, ICAO has now issued Addendum 4 to the 2015-2016 edition of the Technical Instructions to address the prohibition of lithium ion batteries, UN 3480, on passenger aircraft with effect 1 April 2016. As a consequence attached is the English addendum to the 57thedition of the Dangerous Goods... Section 9 — Handling 9.0 General This Section details the responsibilities of operators with regard to the acceptance, handling and loading of dangerous goods. Due for release this fall, the 58 th edition IATA DGR will incorporate changes from the 19 th revised edition of the UN Model Regulations and updates from the International Civil Aviation Organization (ICAO) Dangerous Goods Panel added to the 2017–18 Technical Instructions (TI). 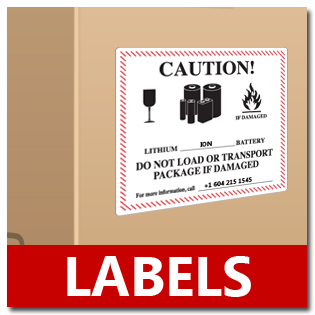 IATA has posted Addendum II to the 57th edition Dangerous Goods Regulations, or DGR, which includes changes to the rules for shipping lithium batteries by air that take effect April 1, 2016.